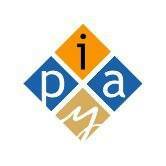 IPAY is accepting Artistic Applications for Showcase 2020, January 21-25, in Philadelphia. IPAY’s mission is to create professional and education opportunities for key stakeholders in North America (artists, agents, and presenters) to engage around support of meaningful performing arts experiences for young audiences. Important: All applicants must read the selection criteria before filling out the application form. Read the Selection Guidelines & FAQs here!